A Raspberry Pi miniNode is a Linux microserver that allows you to host your own websites and email, learn to program and deploy code live on the internet, serve basic applications, run a Minecraft server, and more! miniNode hosted Raspberry Pi’s are great for testing and running NodeJS, Python, Ruby, Rust, Go, and other lightweight frameworks, learning IoT devices, and more! The Raspberry Pi miniNode is based on the Raspberry Pi Model B+, with 512mb RAM. Each node is deployed with SSH access, and a dedicated Static IP Address. Upon purchase, your node will be formatted and configured (which can take 8 to 12 hours) and you will receive an email with your IP Address and login credentials as soon as it is ready. A Raspberry Pi miniNode is a dedicated Raspberry Pi Arm microserver for your exclusive use. 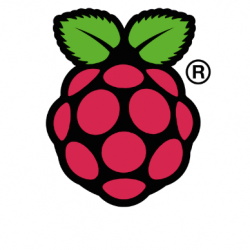 The Raspberry Pi server allows you to host you own websites and email, learn to code, develop and deploy applications live on the internet, learn about IoT, and bypass the restrictions of home ISP’s.